user-generated Headlines and reports on this page = 2 news items. Page - 9. 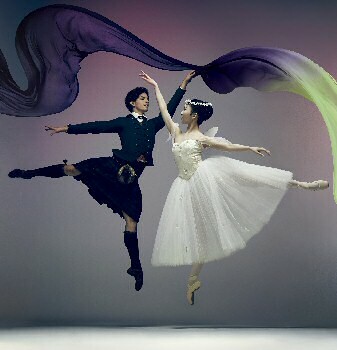 2 works new to English National Ballet's repertoire, Sir Kenneth MacMillan's masterwork, Song of the Earth and August Bournonville's La Sylphide recreated by Frank Andersen and Eva Kloborg, will be performed at the Manchester Palace Theatre, from 11 October to 14 October 2017. 1st performed in 1965, MacMillan's choreography for Song of the Earth was different from anything he had previously devised. Featuring three central figures, a Woman, a Man, and a Messenger, this powerful, moving exploration of life, death, and renewal is set to Mahler's song cycle, Das Lied von der Erde, performed live by the English National Ballet Philharmonic. These performances of Song of the Earth coincide with the 25th Anniversary of MacMillan's death. Devised by 1 of the world's leading producers of Bournonville ballets, Frank Anderson and Eva Kloborg's faithful version of the 1830's Romantic ballet La Sylphide sees James wake from a dream on the morning of his wedding to Effy to encounter a mysterious sylphide before him, setting off a fateful sequence of events. 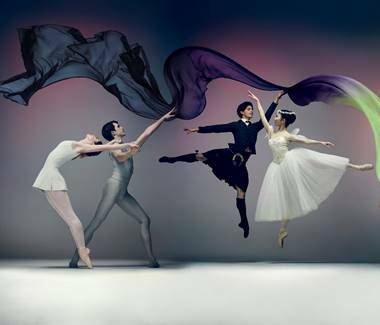 Song of the Earth and La Sylphide will also be performed at the London Coliseum in January 2018. ► Theft of cash from a Skoda estate, car parked in Rutherglen Avenue, Crosby, on 26 September 2017. ► Theft of 2 jackets from a Nissan Juke, parked on Glenby Avenue, Crosby, on 27 September 2017. ► Vehicle interference from a Vauxhall Astra, on Glenby Avenue, Crosby, on 27 September 2017. Sergeant Jonathan Coote said:- "Nixon travelled to commit these offences and we are glad that he is off the streets. We are grateful to our communities for the information they provide on theft and car crime. If you continue to provide information, we can keep taking such positive action. The sentencing of Nixon follows ongoing proactive work targeting such offences in Crosby, but they should also serve as a reminder to residents to keep any vehicles secure, at all times and to keep any valuables out of sight. Community Officers will continue to patrol hot spot areas to deter criminals and raise awareness amongst residents about what they can do to help stop it." ► Never leave valuable items in your car, including:- sunglasses, the removable radio cover and your SatNav. Do you really need all those things you keep in the glove box? ► Never leave your car keys where they can be seen from the front door. ► Always close the windows and sunroof; lock the doors and activate any security devices when leaving your car unattended. ► Park with care, particularly at night or if you are leaving the vehicle for a long time. If possible, park in a busy, well lit area and try to avoid parking your vehicle in quiet side roads where offenders are able to act unobserved. ► Never leave:- cash, credit cards, chequebook, mobile phones, vehicle documents or other valuables in the car. ► Never leave your keys in the car, even for a second; treat them as you would your cash and credit cards! ► Never leave goods, clothing or even empty carrier bags or containers in the vehicle. ► Take all your belongings with you, or if you can't, lock them in the boot. ► Car owners should also be mindful of leaving their vehicle unattended, with the engine running, when defrosting their windscreens in the mornings during a cold snap. Not only is it an offence to leave their car unattended with the engine running on a road, it also voids insurance should it be stolen! Anyone with information on vehicle crime can speak to their Local Officers, call:- 101 or Crimestoppers, anonymously and for free, on:- 0800 555 111.